Experience: In 1995, Brad began his career in the tax department at Roth & Co. in Des Moines, Iowa. He specialized in financial institutions and small business tax returns. 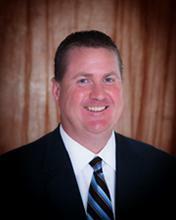 In 1999, he moved back to Dunlap and worked for the CPA firm, Mahoney & Associates in Denison. In 2001, Brad started the Firm. He has experience in financial institutions, real estate development, real estate taxation, agriculture, and other small businesses. Specialties: Agriculture taxation, small business taxation, financial institution taxation, historical tax credit development projects along with merger and acquisition planning. Community Involvement: Brad is active in the community and surrounding area as a board of director of several non-profit groups and involved in various fundraising committees. Brad also volunteers time to Boyer Valley Vocation Ag Program and it’s students. Family Life & Hobbies: Brad's wife Lisa is the owner and manager of the Town & Country Store in Dunlap. They have two children, Claire and Bobby. He enjoys golfing, fishing, hunting, Iowa State Athletics, and spending time with friends and family at Lake Okoboji. Experience: In January of 2006, Courtney began her career as a tax accountant for Deloitte Tax, LLP in Omaha, Nebraska. She left Deloitte in October of 2008 to join Gross & Company. She has experience in many industries including financial institutions, agriculture, and other small businesses. Specialties: Corporate, partnership and individual income tax preparation and consulting; farm taxation; QuickBooks consulting. Education: B.S. in Business Administration from the University of Nebraska at Omaha; Master of Accounting from the University of Nebraska at Omaha. Family Life & Hobbies: Courtney's husband Jon is a farmer in the Monona County area. They have three young children, Alivia, Bennett and Everett. Courtney enjoys traveling, crafting, reading, and spending time with her children. 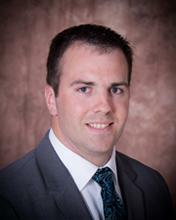 Experience: In 2010, Ben began his career in the audit department at Ernst & Young, LLP (EY) in Des Moines, IA. During the summer of 2011, Ben decided auditing was not his career path, so he made a transition within EY to corporate and partnership taxation. Following his three year stint at EY, he moved back to Dunlap to pursue a career with the Firm. Specialties: Small business taxation, Real Estate and individual/farm taxation. Education: B.A. in Accounting and Finance from Buena Vista University. Community Involvement: Ben has volunteered for various events in Dunlap since moving to the area. Family Life & Hobbies: Ben is married to Margo Hansen (Muhlbauer) from Manilla, IA. 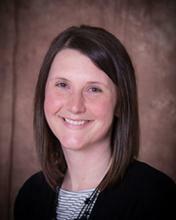 She is also a CPA and currently practices in both Woodbine, IA and Denison, IA. Ben and Margo enjoy boating and traveling during the summer and attending Iowa State and Buena Vista Football games. 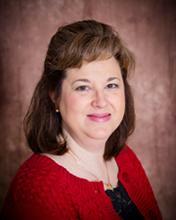 Experience: In 1998, Lori began working for Mahoney & Associates as a bookkeeper. 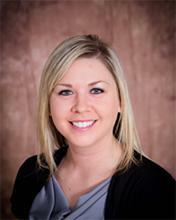 In 2003, she went to work in Carroll, Iowa for American Home Shield as an accounts receivable clerk. Six years later, she began her career with The Firm. 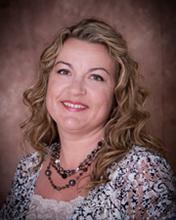 She has experience in bookkeeping and payroll. Specialties: Payroll, bookkeeping, customer service, and office management. Family Life & Hobbies: Lori's husband, Jerry, is the manager of Ampride convenience store. They have one child, Jeremiah, who lives in Boone, Iowa with his wife Becky and daughters Kamree & Kynsley. She enjoys playing with her granddaughters, needlework, crocheting, sewing, reading, traveling, gardening, baking and Iowa State Athletics. 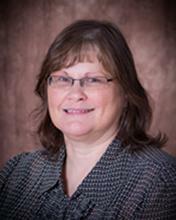 Experience: Cristie has been employed in the bookkeeping / accounting field since 1991. After being the Woodbine and Municipal Light and Power's office manager for six years, she joined Gross & Company in 2005. Specialties: Corporate, partnership and payroll tax preparation; payroll; QuickBooks assistant. Community Involvement: Cristie volunteers at Shelby County Catholic Schools. She is also a volunteer for the St. Joseph's parish in Earling, Iowa which includes being the secretary for the Altar Society. Family Life & Hobbies: Cristie's husband Roger is a banker at Farmer's Trust and Savings Bank. They have four children; Maya, William, Kara, and Suzy. She enjoys golfing, reading, spending time with her family and cheering on the Iowa Hawkeyes. Experience: Becky was employed with Shadow Valley Golf Course since 2002. She started her career in Accounting with Gross & Company in 2013. Specialties: Small business taxation, individual income taxation, farm taxation, payroll, bookkeeping and QuickBooks Consulting. Education: B.S in Accounting and Finance from Bellevue University; Master of Business Administration from Bellevue University. Family Life & Hobbies: Becky’s husband, Dylan, manages Shadow Valley Golf Course in Woodbine. They have two children, Jade and Brody. Becky enjoys golfing, watching sporting activities, traveling, spending time with family and friends, camping and being outdoors. Experience: In 2011, Leah began a Financial Analysis internship at the National Association of Insurance Commissioners in Kansas City. Leah then started her career in Accounting with Gross & Company in January 2014 as an intern and began full-time in October 2014. Education: B.S. in Accounting & B.S. in Business Administration/Finance from Park University. Community Involvement: Leah volunteers as an AYSO soccer coach and board member in Harlan. Family Life & Hobbies: Leah enjoys golfing, being outdoors, spending time with family and friends, attending concerts, playing and watching sports, and cheering on the Iowa State Cyclones and Iowa Hawkeyes. Experience: In 1985, Lois began working at Perfection Learning Corporation in Logan. In 2000 she decided to become a stay-at-home mother and operate an in home daycare. In 2010, she returned to working outside of her home as secretary of her church, and then joined Gross & Company in November 2013 as an administrative assistant. Education: Associate of Arts Degree in Business/Mid-Management from Iowa Western Community College. Community Involvement: Lois is involved with various community, school, and church activities including Boy Scouts, Methodist Church Secretary, Youth Group, and Sunday School. Family Life & Hobbies: Lois' husband, Jim, is a sub-foreman for Harrison County REC. They have three children, Chris, Meagan, and Colby. Lois enjoys cooking, gardening, reading, boating, and spending time with family.